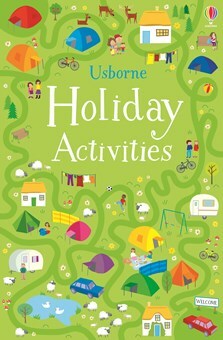 A pocket-sized paperback book packed full of holiday activities and games to play alone, in pairs or in a group. Children can doodle flags and shells onto a sand castle, keep a holiday diary, help campers navigate a maze or play games such as ‘Guess the monkey’ and ‘Land, sea, air’. Perfect for long journeys, quiet times or rainy days. A ‘rainy-day’ book for slightly older children... lots of adults would have fun with this too!